Works with your compatible smartphone to provide Remote Training, Bark Control, and Fitness Tracking. This super Bluefang® collar works with your compatible smartphone to provide Remote Training, Bark Control, and Fitness Tracking. It can also be paired with the X-25 system to provide containment – all from one comfortable, lightweight collar! 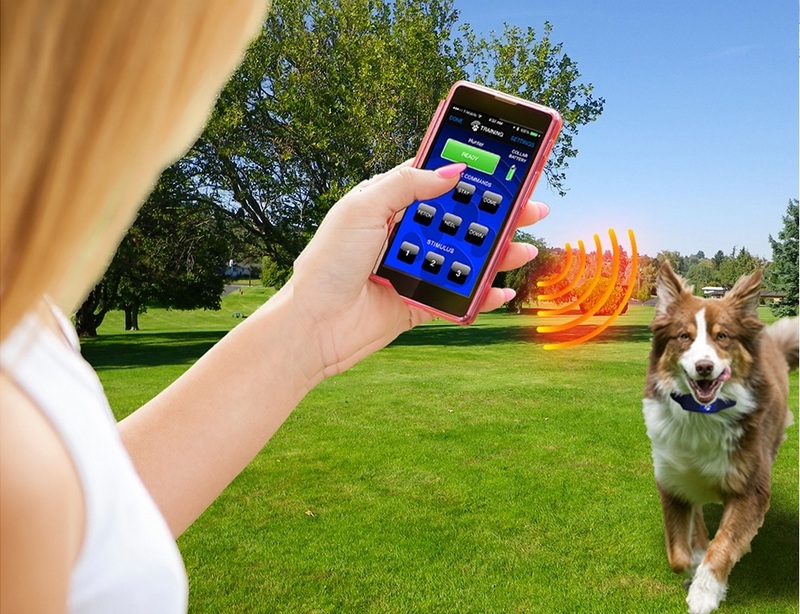 Bluefang® technology lets you control your dog’s collar with your iPhone or Android from up to 400 feet away. Just download the FREE app, put the collar on your dog and you’re ready to train using your smartphone as your remote. Use positive tones to quickly and easily teach “good dog” behaviors such as sit, stay, come and heel. 3 corrective stimulus levels deter “bad dog” behaviors like jumping, chewing, and digging. Add an unlimited number of collars and customize the stimulus intensity and duration of each level for each individual dog. And Bluefang technology gives you a much longer range than typical Bluetooth devices. While other Bluetooth devices (headphones, speakers, etc.) typically have a working range of under 100 feet, our breakthrough technology extends the practical training range of the BLUEFANG collar to 400 feet! As a Bark Control Collar, the BF-25 collar gives you the most advanced, effective and humane bark control available. Uses progressive stimulus that starts with a warning tone and progresses through five increasing stimulus levels if your dog’s barking persists. The collar can distinguish between nuisance barking and the more excited intruder/alarm barking. If you choose, you may allow the emergency type of bark while still preventing nuisance barking. You can also set the collar to deter howling. 3 Bark Control Modes let you select: “Stop Only Nuisance Barking”, “Stop All Barking” and “Stop Barking and Howling”. 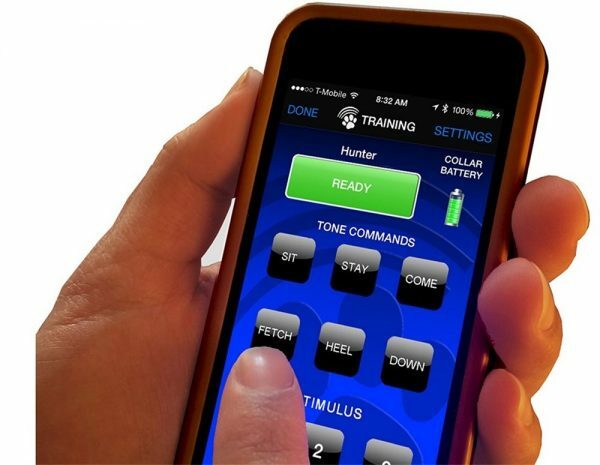 You can also set the collar for tone only, shock only, or tone plus shock and all of these options are controlled right from your smartphone with our simple, intuitive app. The collar is designed with safety “time outs” built in so that it will not overstimulate your dog. Barking is detected with a non-invasive microphone and a unique sensing algorithm that detects your dog’s bark without false triggering. Your BF-25 collar gives you the most advanced and useful Fitness Tracking of any pet collar. 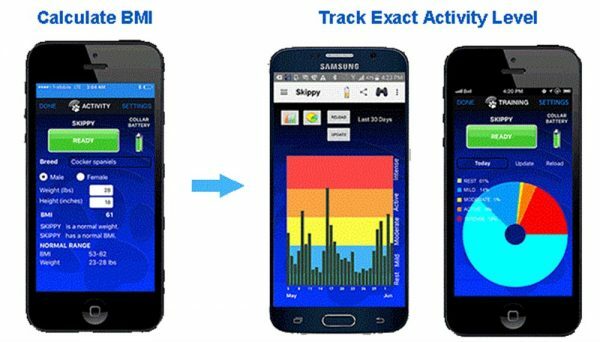 Start by determining your dog’s overall fitness level with the BMI calculator. 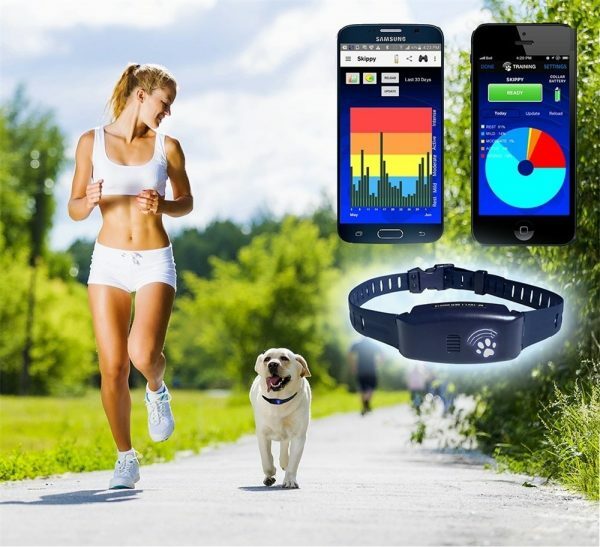 Input your dog’s breed, gender, height and weight and get instant feedback of your dog’s fitness level. You’ll know if you need to increase, decrease, or maintain your dog’s current level of activity. Then use the Activity Monitor to track your dog’s activity levels to make sure he’s on the path to optimum fitness. View charts of actual energy burned by hour, day, week, month and year. The feature is also a great way to see what your dog is up to when you’re away. 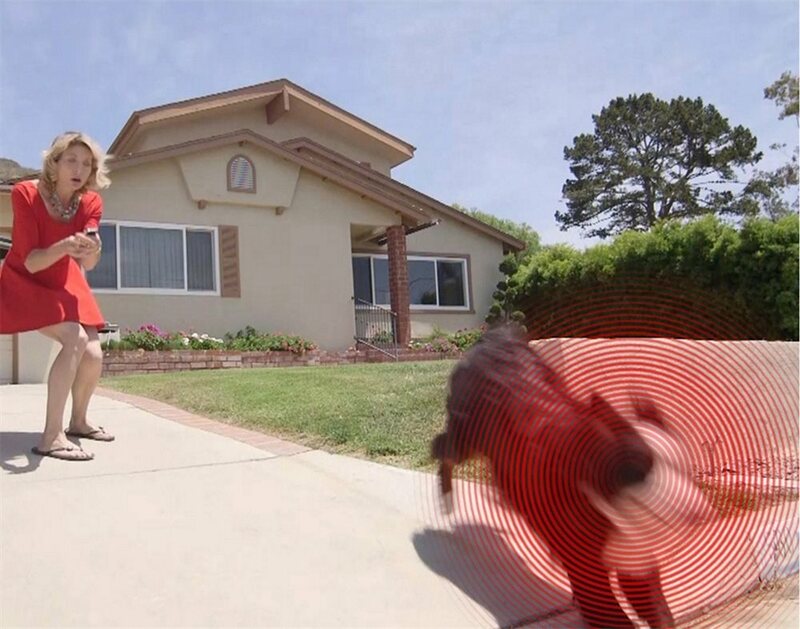 The BF-25 makes a note every time your dog barks or attempts to challenge the invisible boundary. You can review this data to see how often he has barked or tried to run off each day, week month or year. It also records the number of shocks and intensities it has delivered. 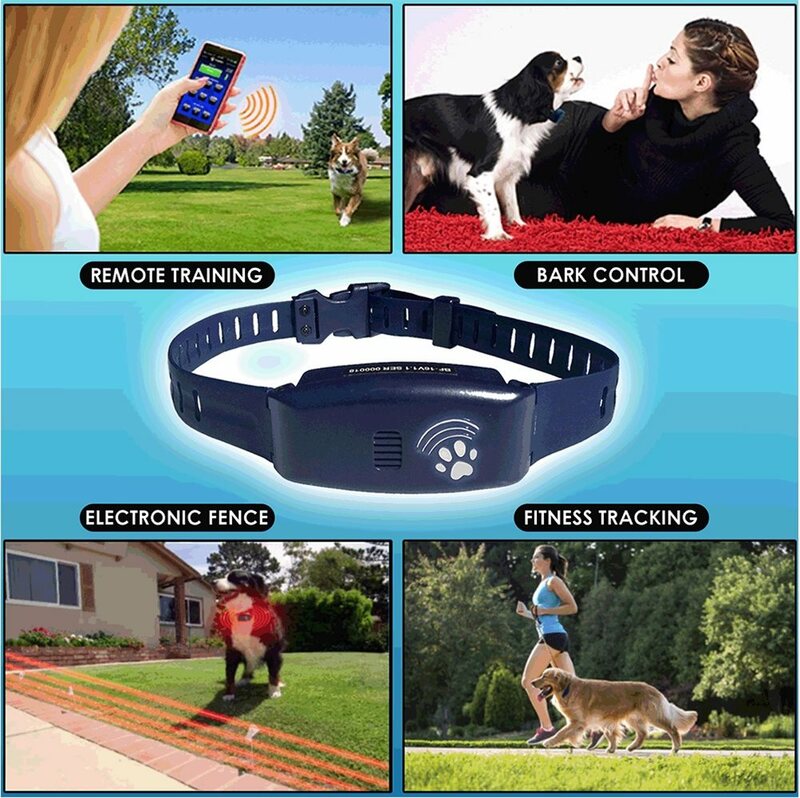 You can very easily see your dog’s behavior and how well your Bluefang collar has been working. The BF-25 can be paired with High Tech Pet’s X-25 containment system. The X-25 system includes one collar, but you can add an unlimited number of additional BF-25 collars to contain an unlimited number of pets.